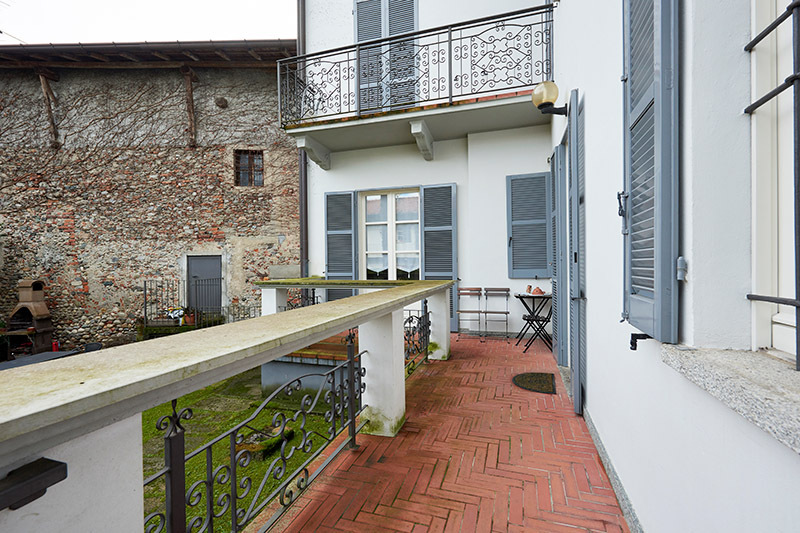 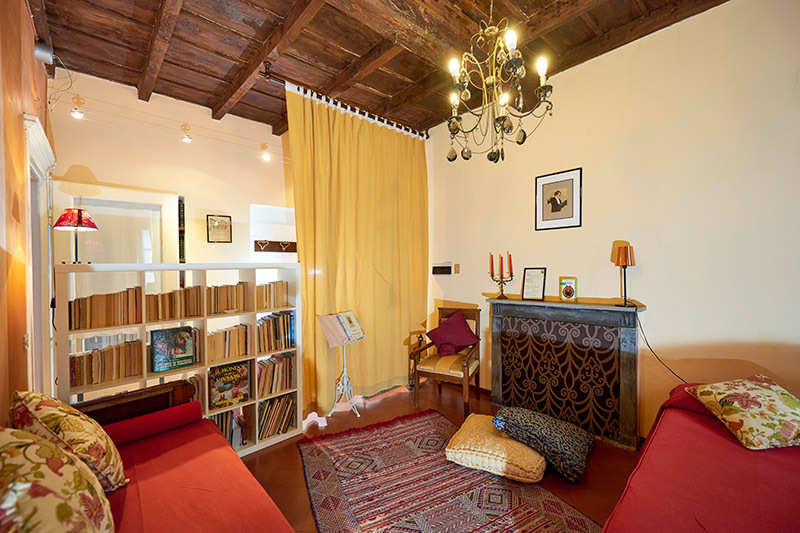 The Rossini apartment of about 90 sqm is located on the ground floor and overlooks the garden through a lovely balcony where to spend relaxing evenings. 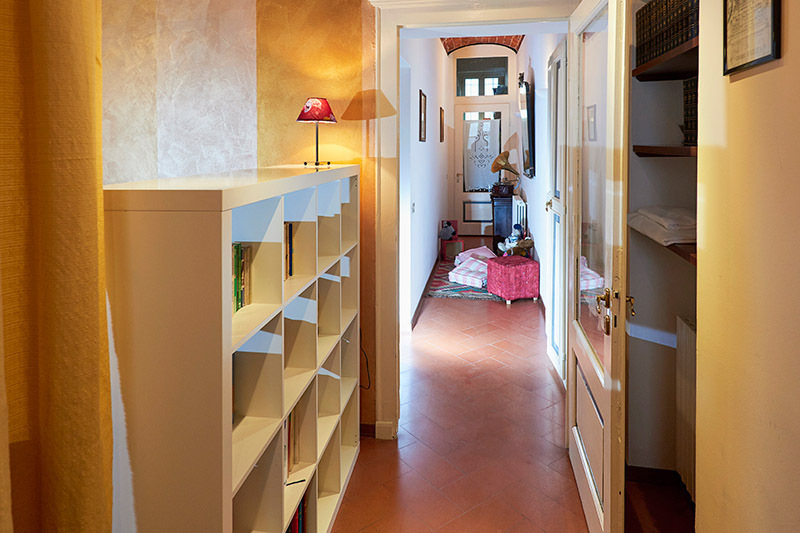 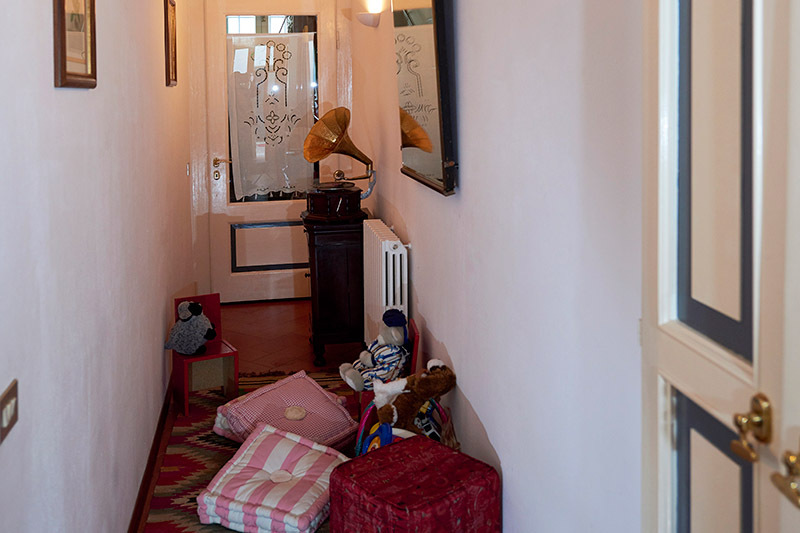 The apartment consists of 2 bedrooms, 1 living room with kitchenette , 1 bathroom and laundry. 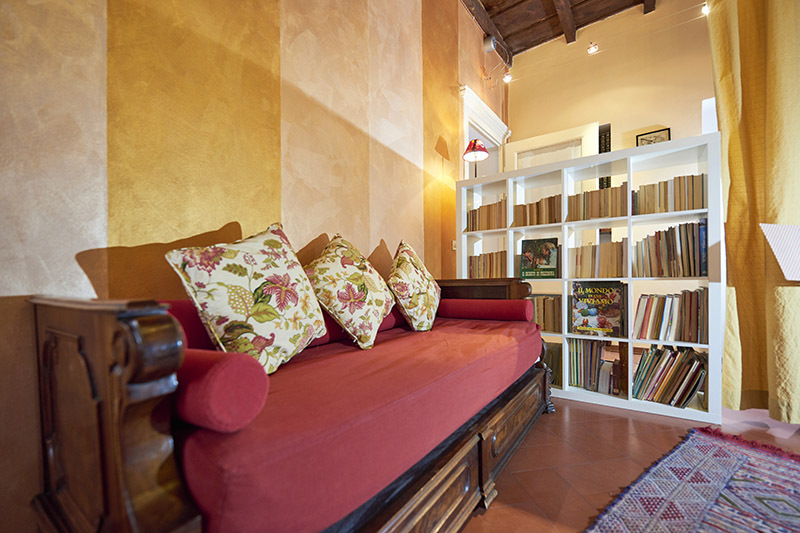 Coffered ceilings are original of the period of construction and the walls are tastefully decorated. 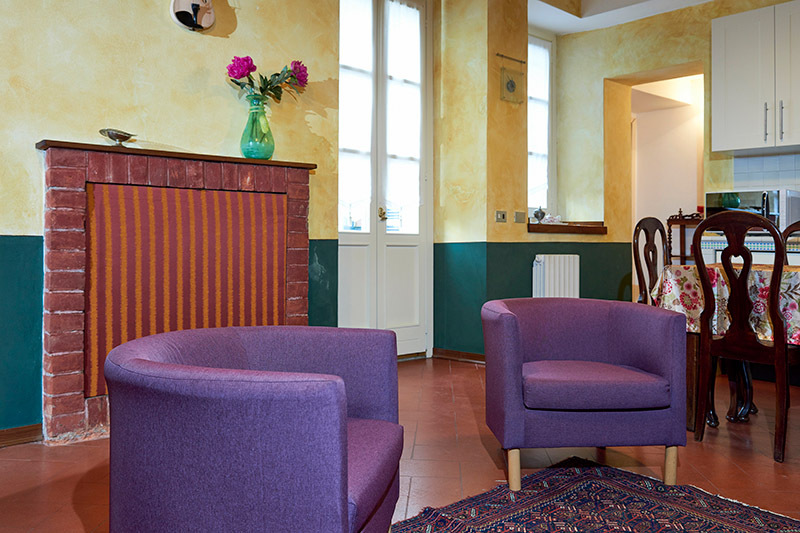 The large living room communicating directly through a glass door to the garden includes a large lounge with fireplace, antique furniture and a a comfortable two seater sofa which becomes a comfortable full size double bed. 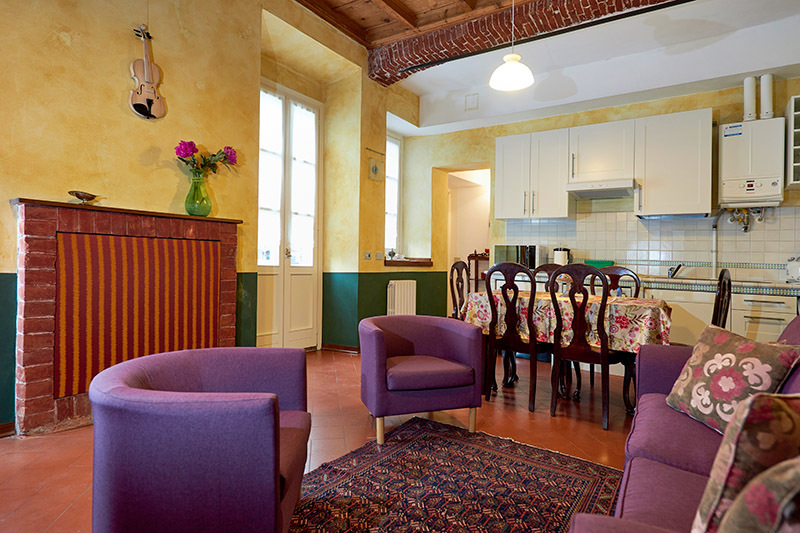 Stereo system with Gioacchino Rossini and classical CDs and flat screen TV. 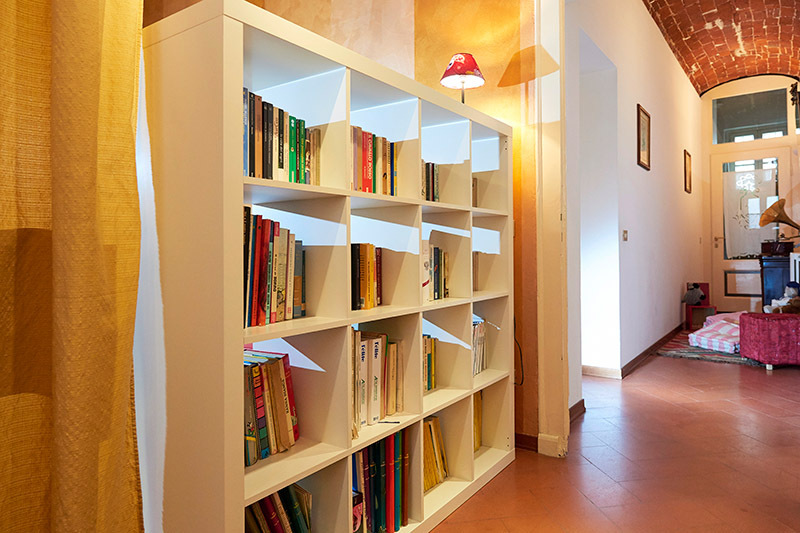 Stocked library with books in different languages as well as children books is at disposal. 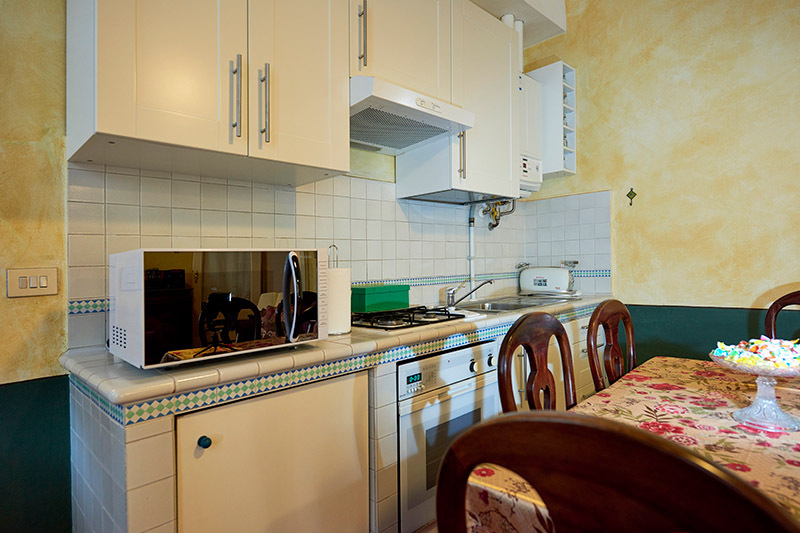 The kitchenette has a central table for 6 people and is well-equipped: dishes, cookware, cutlery as well as toaster, kettle, coffee maker, microwave, iron and board, highchair and dishes for children. 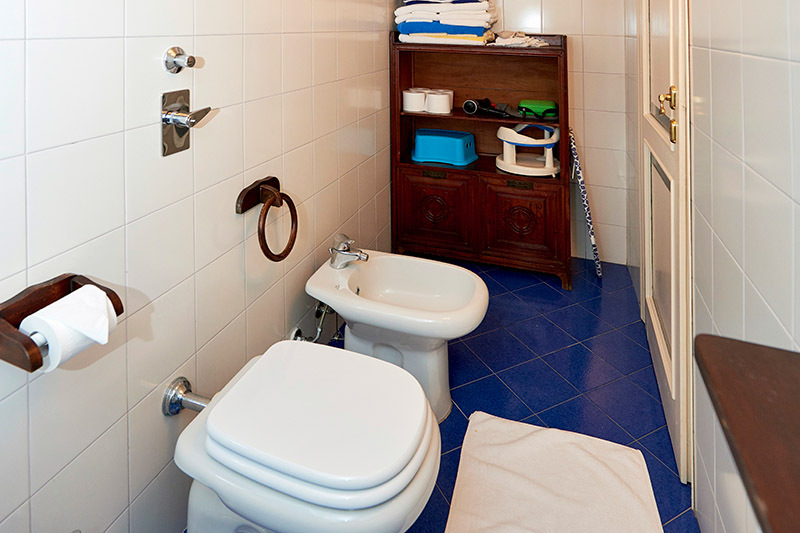 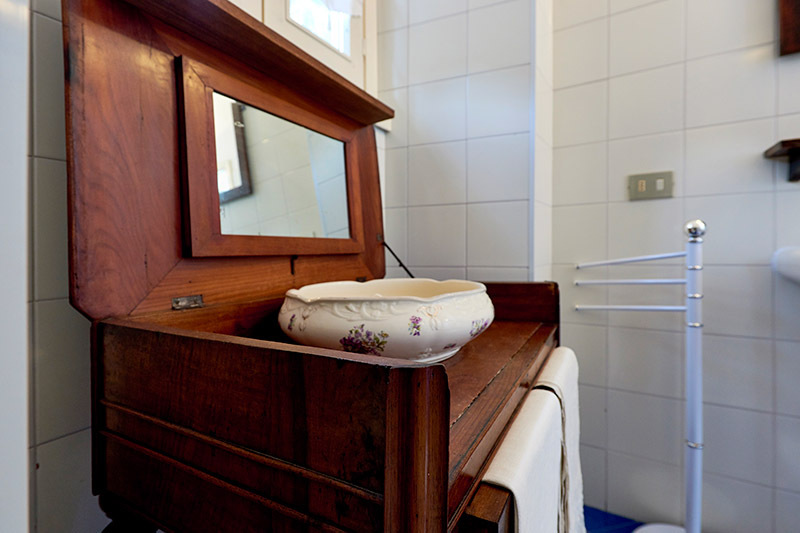 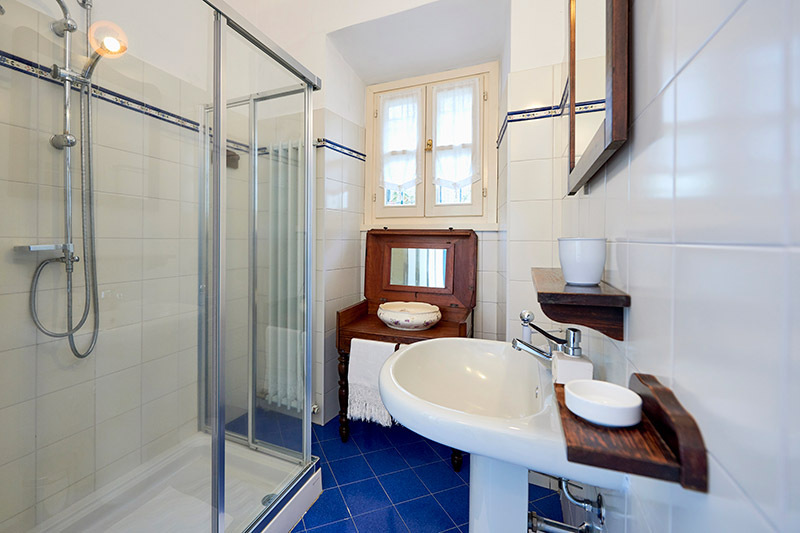 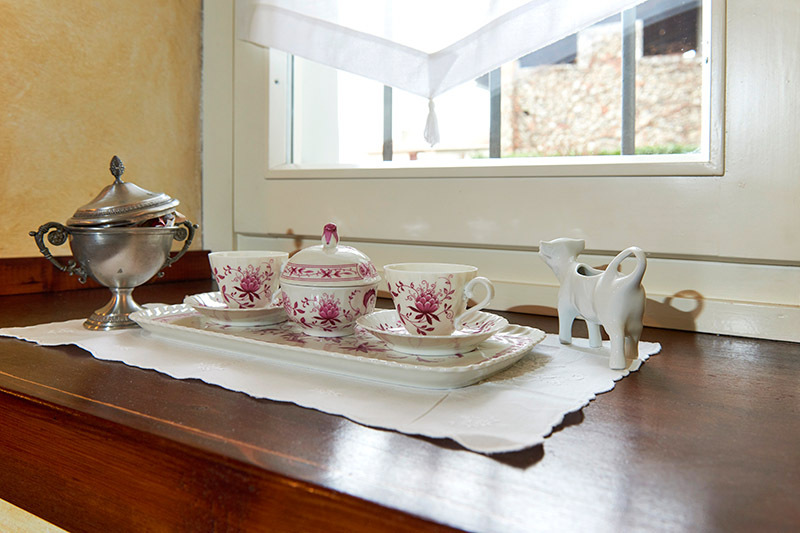 The large bathroom is divided into 3 levels : the first with shower is furnished in period style. 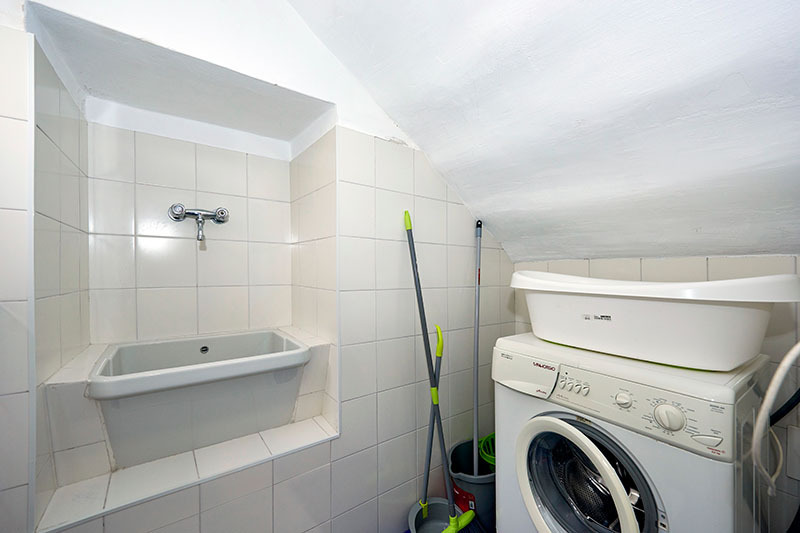 The third is also a laundry area with sink and washing machine. 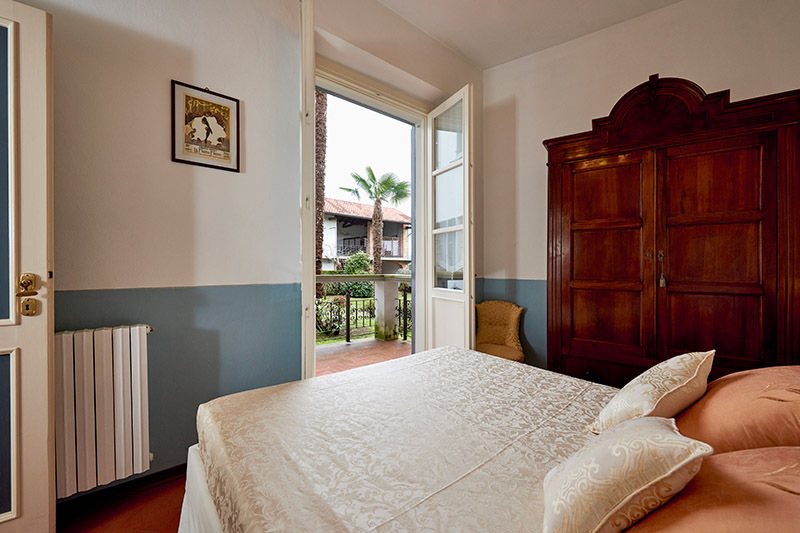 The master bedroom overlooks the garden and has a comfortable double bed . 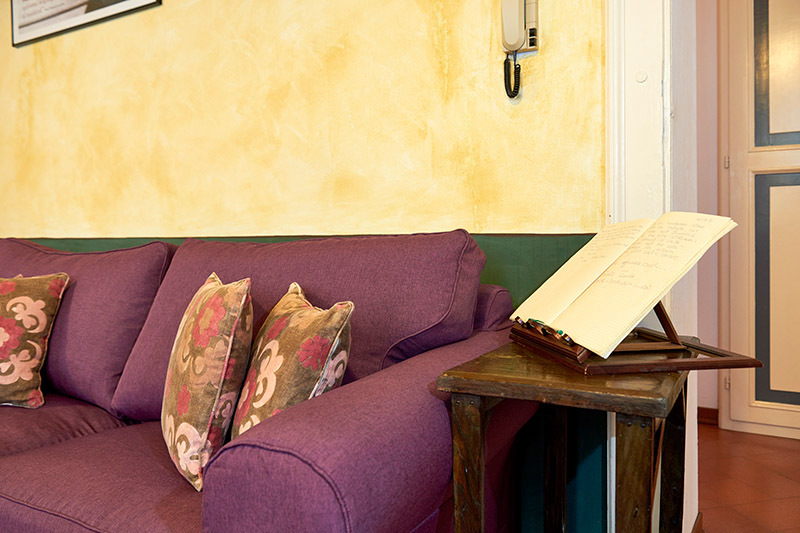 Armchair and wardrobe complete the furnishing. 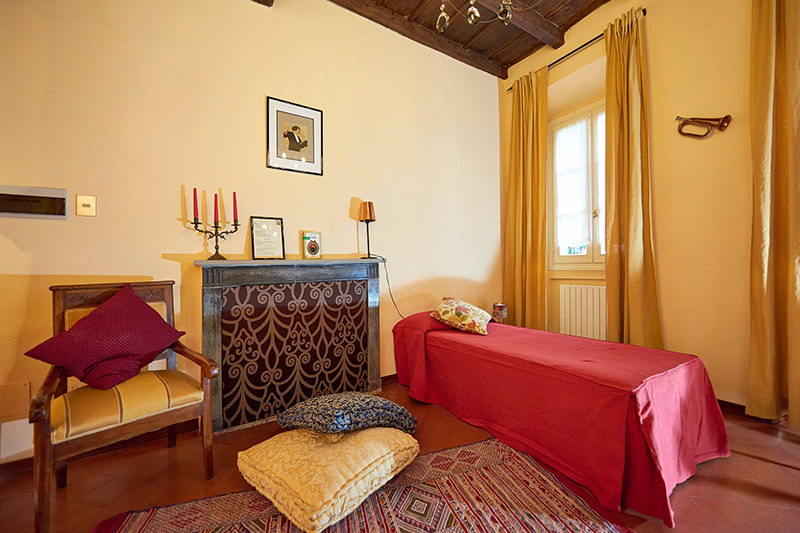 The second bedroom has a large fireplace, a single bed in style and a second single bed .There is the possibility of adding a third folding bed. 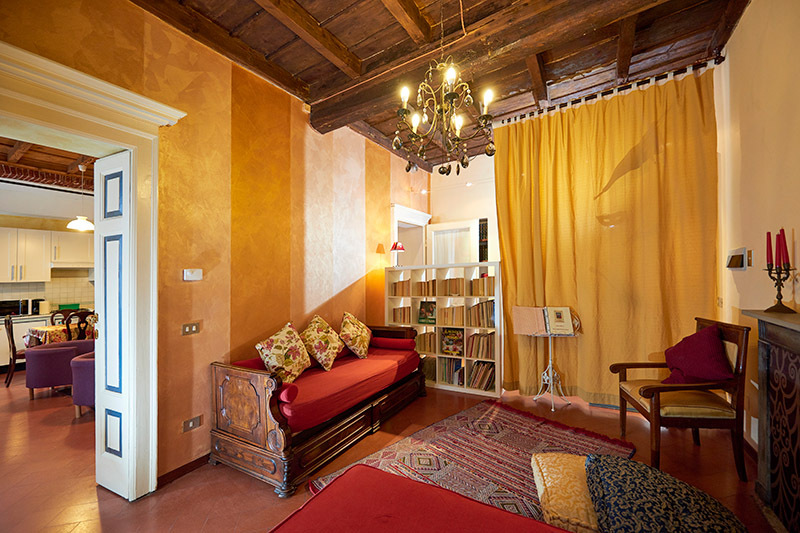 This bedroom is divided by a big curtain from the main entrance corridor . 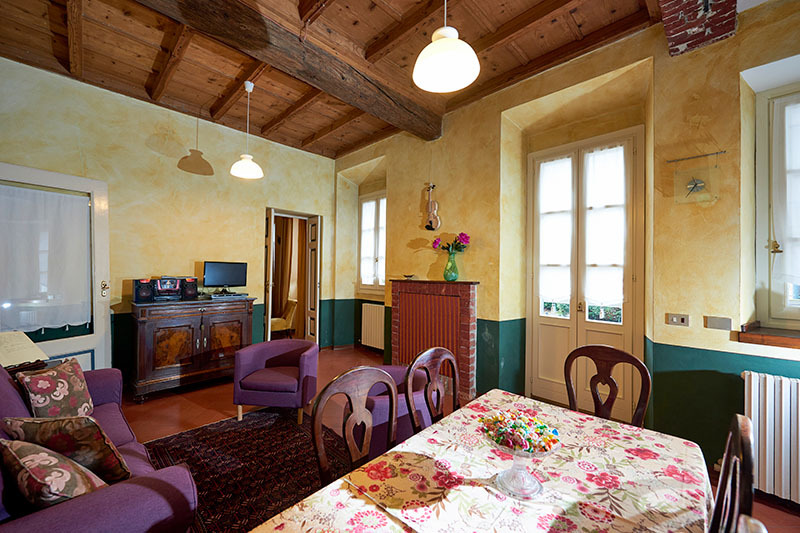 The vaulted hall houses antique furniture and a well equipped relaxing area for the children.